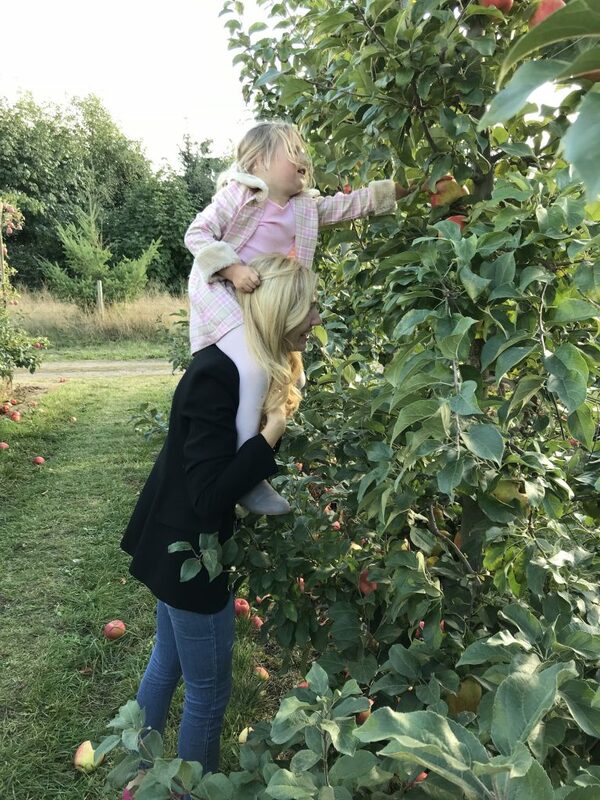 Our New Fall Tradition – Apple Picking! - Mom Around Town. After church on Sundays, I try to do a family activity. Sunday Funday! Truth is I didn’t take the time to research this adventure very well before we went, but thankfully it turned out well. Not just well, amazing. My kids can’t wait to go back. This was a huge hit for all of us. It was so worth the drive. And it really was a trek. 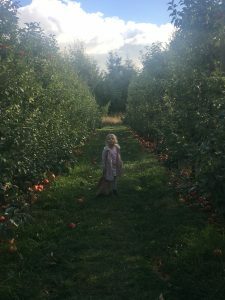 We headed out to Bellewood Acres in Bellingham for our apple adventure. When I say I didn’t research it much, I mean I really didn’t. I was expecting to just see apple picking. Lol. There was sooooo much going on at this place I don’t know where to begin describing. 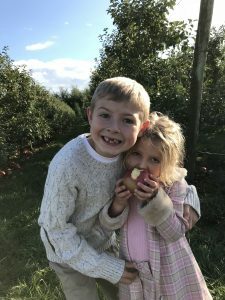 Besides the apple picking, they have an apple train, a corn maze, farm tours, a distillery, a café, a pumpkin patch, and more. 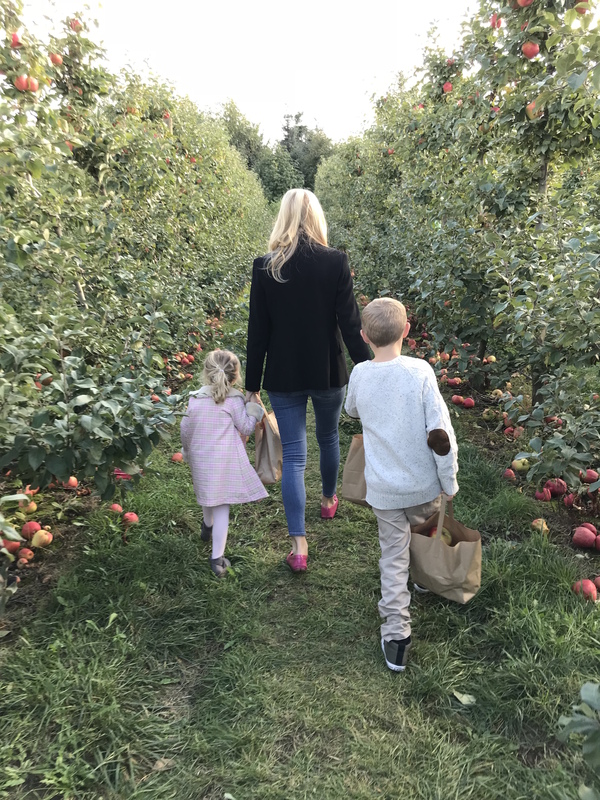 Much to my kids’ dismay, we just focused on the apple picking, and honestly that was plenty. 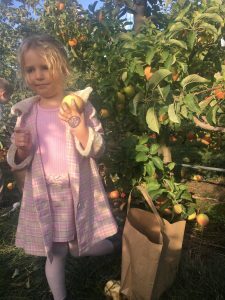 We came home with many bags of some of the most delicious honey crisp apples I’ve ever had. They are gigantic too. 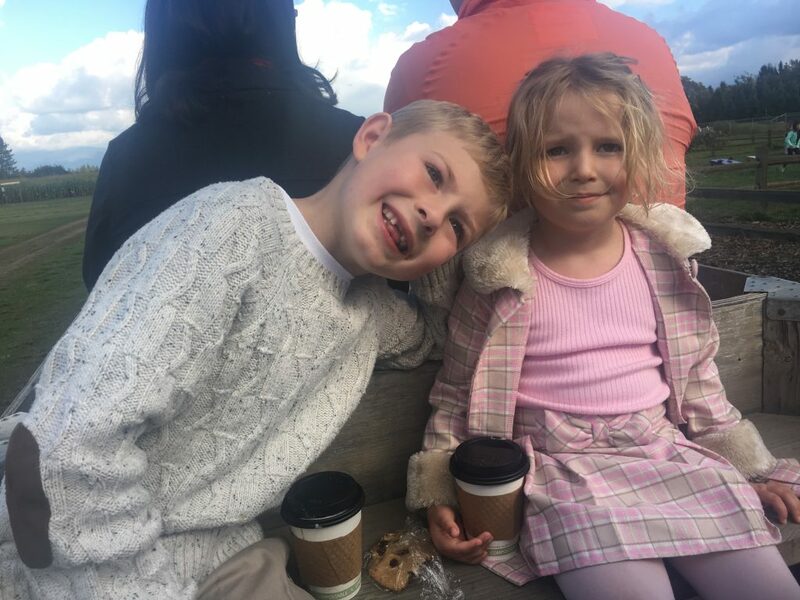 When we arrived, we got hot chocolates and lattes to keep warm on the apple train. This was actually not the best idea. They were a pain to have once off the train. Helpful hint: I would suggest grabbing them at the end to warm up. 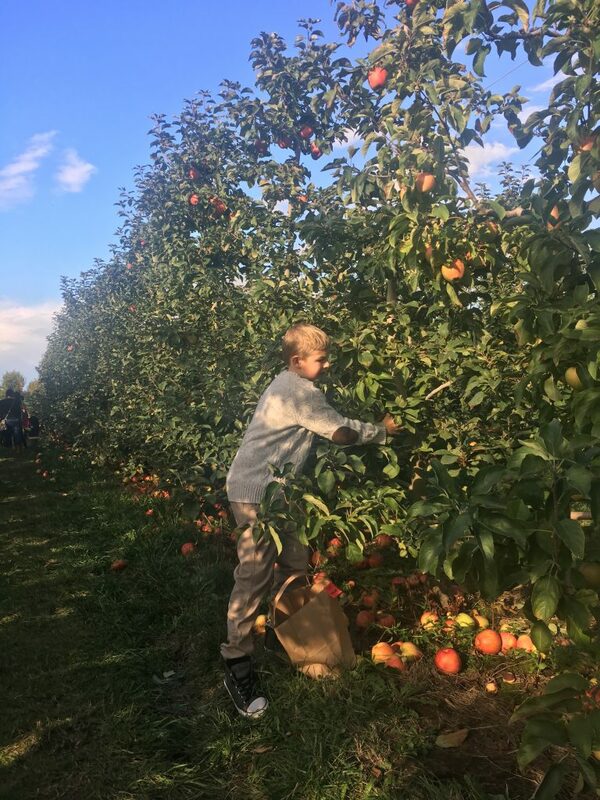 For apple picking, I had envisioned huge apple trees where I would be climbing a ladder and tossing apples down to the kids. I imagined feeling like it was going to be way more work than it was worth. I was way wrong. The trees were little. No ladders needed. The kids could run around with their bags and fill them, no problem. 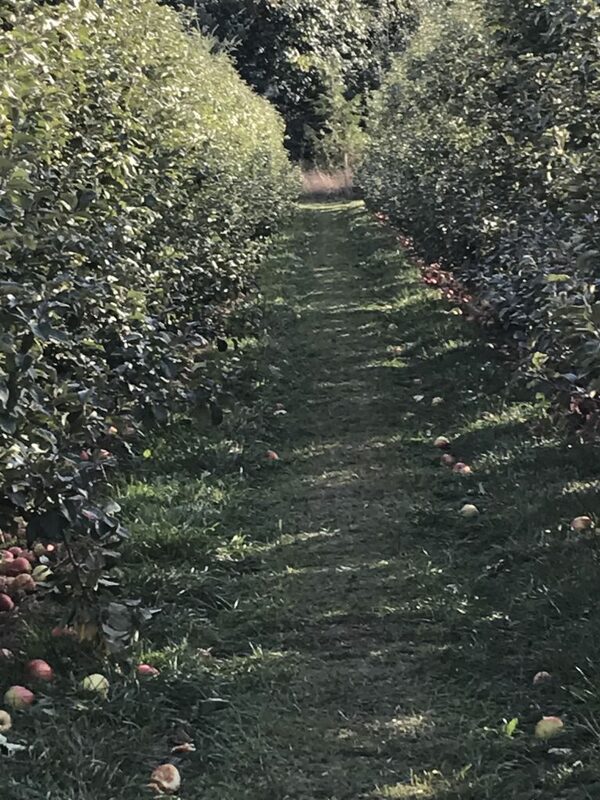 The apples came off easily, so I wasn’t having to run back and forth helping them with each apple, which was nice. They grow several different types of apples and they are different prices. Once you pay, they give you a bag to fill. The train takes you out to the trees and they point you in the direction of the trees you can pick from. It is so pretty there. I really really hope you will take my recommendation and go check it out. Next articleGoodnight for the last time, four-year-old Pemberley! Next: Goodnight for the last time, four-year-old Pemberley! 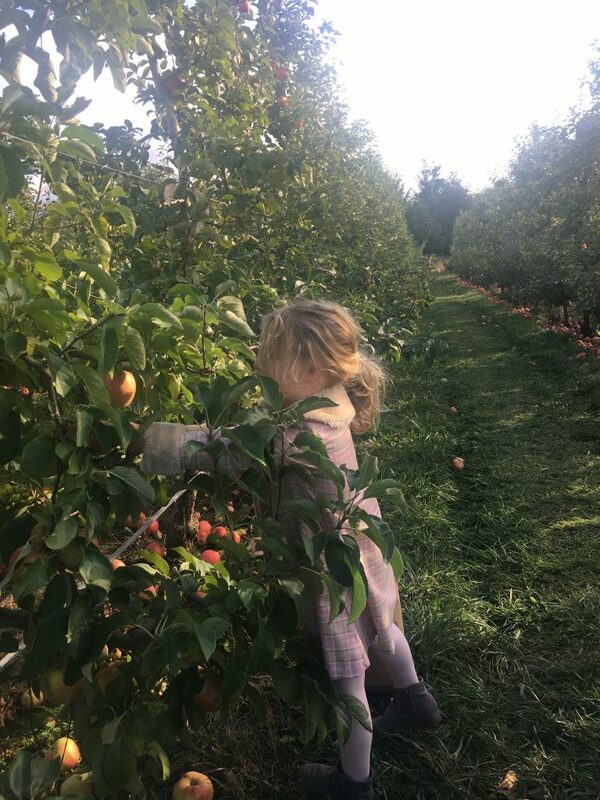 Reading: Our New Fall Tradition – Apple Picking!